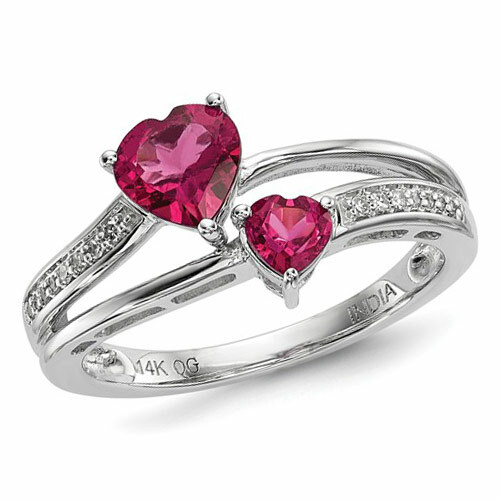 14k white gold 1 ct tw pink tourmaline ring has two hearts and a row of diamond accents. Diamond details: six full cut diamonds, .06 carat total weight. Pink tourmaline is eye clean with good cut. Approximate item weight: 3.8 grams. Import.